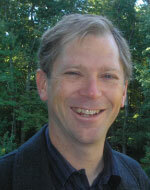 Peter develops statistical methods applied to ecological and environmental studies. His primary research focus is developing quantitative methods relevant to the study and conservation of data-deficient marine megafauna such as seabirds, sea turtles, marine mammals, and sharks. This work uses population modelling techniques and computational simulation to develop simple decision rules that can be easily applied to a variety of species. Other research interests include estimation of demographic parameters, modelling the calibration and response of environmental sensors, integrated modelling of multiple data sources, multi-model inference, and links between Bayesian and frequentist methods. Boyd P.W., Dillingham P.W., McGraw C.M., Armstrong E.A., Cornwall C.E., Feng Y., Hurd C.L., Gault-Ringold M., Roleda M.Y., Timmins-Schiffman E., Nunn B.L., Physiological responses of a Southern Ocean diatom to complex future ocean conditions. Nature Climate Change 6:207-213, 2016. Dillingham P.W., Moore J.E., Fletcher D.J., Cortés E., Curtis K.A., James K.C., Lewison R.L., Improved estimation of intrinsic growth rmax: integrating matrix models and allometry. Ecological Applications 26:322-333, 2016. James K.C., Lewison R.L., Dillingham P.W., Curtis K.A., Moore J.E., Drivers of retention and discards of elasmobranch non-target catch. Environmental Conservation 43:3-12, 2016. Curtis K.A., Moore J.E., Boyd C., Dillingham P. W., Lewison R.L., Taylor B.L., James K.C., Managing catch of marine megafauna: Guidelines for setting limit reference points. Marine Policy 61:249-263, 2015. Sharpley C.F., Palanisamy S.K.A., Glyde N.S., Dillingham P.W., Agnew L.L., An update on the interaction between the serotonin transporter promoter variant (5-HTTLPR), stress and depression, plus an exploration of non-confirming findings. Behavioural Brain Research 273:89-105, 2014. Moore J.E., Curtis K.A., Lewison R.L., Dillingham P.W., Cope J.M., Fordham S.V., Heppell S.S., Pardo S.A., Simpfendorfer C.A., Tuck G.N., Zhou S., Evaluating sustainability of fisheries bycatch mortality for marine megafauna: a review of conservation reference points for data-limited populations. Environmental Conservation 40:329-344, 2013. Dillingham P.W., Radu T., Diamond D., Radu A. and McGraw C. M., Bayesian Methods for Ion Selective Electrodes, Electroanalysis, 24:316-324, 2012. Dillingham P. W., Elliott G. P., Walker K. J. and Fletcher D., Adjusting age at first breeding of albatrosses and petrels for emigration and study duration, Journal of Ornithology, 153:205-217, 2012. Fletcher D. and Dillingham P.W., Model-averaged confidence intervals for factorial experiments, Computational Statistics and Data Analysis, 55:3041-3048, 2011. Dillingham P. W. and Fletcher D., Potential biological removal of albatrosses and petrels with minimal demographic information, Biological Conservation,144:1885-1894, 2011. Dillingham P. W., Generation time and the maximum growth rate for populations with age-specific fecundities and unknown juvenile survival, Ecological Modelling, 211: 895-899, 2010. Dillingham P. W. and Fletcher D., Estimating the ability of birds to sustain additional human-caused mortalities using a simple decision rule and allometric relationships, Biological Conservation, 141: 1783-1792, 2008. Skalski J. R., Millspaugh J. J., Dillingham P. W. and Buchanan R. A., Calculating the variance of the finite rate of population change from a matrix model in Mathematica, Environmental Modelling & Software, 22: 359-364, 2007. Townsend R., Skalski J. R., Dillingham P. W. and Steig T. W., Correcting bias in survival estimation resulting from tag failure in acoustic and radiotelemetry studies, Journal of Agricultural, Biological, and Environmental Statistics, 11: 183-196, 2006. Dillingham P. W., Skalski J. R. and Ryding K. E., Fine geographic scale interactions between Steller sea lion abundance and trends of local fisheries, Canadian Journal of Fisheries and Aquatic Sciences, 63: 107-119, 2006. Kitahata M. M., Reed S. and Dillingham P.W., et al. Pharmacy-based assessment of adherence to highly active antiretroviral therapy predicts virologic and immunologic treatment response and clinical progression to AIDS and death, International Journal of STD & AIDS, 15:803-810, 2004. Reed S., Dillingham P. W. and Briggs A. H., et al. A Bayesian approach to aid in formulary decision making: Incorporating institution-specific cost-effectiveness data with clinical trial results, Medical Decision Making, 23:252-264, 2003. Kitahata M. M., Van Rompaey S. E. and Dillingham P. W., et al. Primary care delivery is associated with greater physician experience and improved survival among persons with AIDS, Journal of General Internal Medicine, 18:95-103, 2003.